The Telluride Tourism Board maintains the quality of the Telluride region experience for the benefit of the visitor and the economic sustainability of the community. As part of these efforts, the Telluride Tourism Board publishes a variety of community-specific tools to help local organizations plan, forecast and stay in the know. 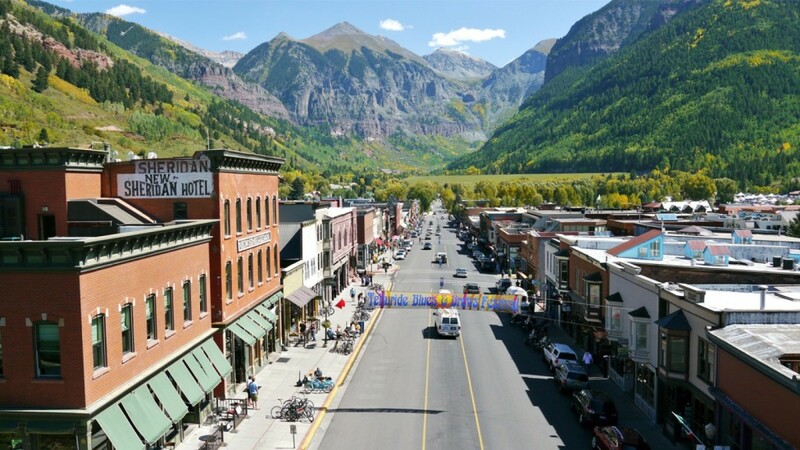 Click here to visit the Town of Telluride’s Business-Community page and for community-specific tools. Telluride’s economy continues to thrive. The Town Council recently approved formation of a Business Task Force. The mission of the new task force is to foster a diverse and healthy economic environment within the Town of Telluride. Telluride has four banks located in town and a branch of Wells Fargo Bank in Mountain Village. In addition, we have three competent title companies and several competitive mortgage companies to make it easy to complete real estate transactions smoothly and painlessly. The Telluride business community also boasts several accounting firms, excellent graphic and interior designers, renowned architects, and competent building contractors.